Comparing the homemade mixture to glyphosate is difficult, because the situation will often dictate which herbicide is the better choice. If you are trying to kill small, annual weeds, I would expect the homemade solution to be as effective as glyphosate. The vinegar + salt solution will probably burn the weeds down faster than glyphosate, but glyphosate would likely work slightly better over the long term, especially on large weeds. The glyphosate molecule is systemic, that is, it will travel throughout the plant (even down to the roots) to effectively kill all plant parts. The vinegar + salt solution, on the other hand, works on contact primarily by disrupting the integrity of the cell membranes and desiccating the plant. It will not travel long distances through the plant (say, from one leaf to another). So if you don’t get complete coverage of the plant leaves with the vinegar + salt solution, there is potential for the plant to re-grow from the living tissues. Coverage with glyphosate is less crucial, since the herbicide molecule will travel to parts of the plant that were not sprayed. For the toxicity comparison, I only looked up the mammalian toxicity values for glyphosate, acetic acid, and salt. Rat acute oral toxicity values and rabbit acute dermal toxicity values for all three chemicals are summarized in the following table. The toxicity values are presented in mg of material per kg of body weight of the test organism. The LD50 is the dose of the chemical that would kill 50% of the test population; in this case rats dosed orally or rabbits dosed on the skin. Low LD50 numbers mean higher toxicity. In both toxicity measures, acetic acid is more toxic than glyphosate. Salt is more toxic to rats compared to glyphosate when exposed orally. The dermal toxicity numbers are a little more difficult to interpret, since for both glyphosate and salt, the values are listed as greater than a value. This typically means that the experimenters did not kill enough of the test rabbits at the highest doses used in the studies; so we know that glyphosate is safe at least up to 2,000 mg/kg and salt is safe at least up to 10,000 mg/kg. But we can determine from this data that acetic acid is more toxic than both glyphosate or salt. Pound per pound, glyphosate actually appears to be less acutely toxic to the mammalian test organisms compared to acetic acid or salt. But this is only half the story with respect to toxicity. To estimate the actual risk of these products, we need to know not only the toxicity, but also the use rate; the dose makes the poison. Even highly toxic substances can be used safely if the dose is sufficiently low, and seemingly safe chemicals can be problematic if the dose is too high. Eliminate Grass & Weed Killer contains 3.7 lbs of glyphosate acid per gallon; or 0.0289 lbs glyphosate acid per fluid ounce. At the higher labeled rate of 2.5 fluid ounces of product per gallon, there would be 0.07 lbs of glyphosate acid per gallon of mixed product. Similarly converting this to the same units as the LD50 values, 0.07 lbs equals 31,751.5 mg. So it appears that glyphosate, the less toxic chemical, is being applied at a rate 6-times lower compared to acetic acid. How could this be, you ask? Everything you’ve read on the internet says glyphosate is causing ailments from autism to obesity. 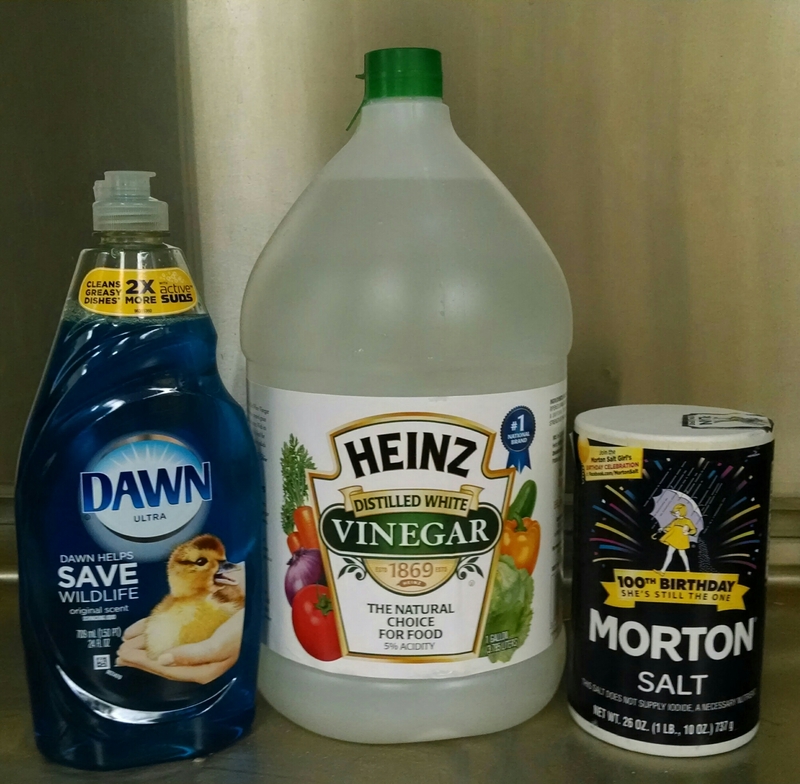 How could glyphosate be less toxic than vinegar? Truth is, it is easy to make a chemical (any chemical) sound pretty nasty, even if you use verifiable, factual information. For example, sodium chloride, one of the ingredients in the homemade herbicide solution, is mutagenic for mammalian somatic cells and bacteria. Another ingredient, acetic acid, is highly corrosive, can aggravate respiratory disorders, and even cause permanent vision loss. Does this sound like something you want to be spraying in the same yard where your children and pets play? Should you be dousing your yard with a potent chemical cocktail that causes mutations in humans and causes blindness? 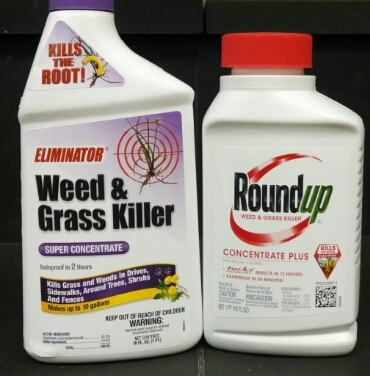 And now we learn that this chemical cocktail is nearly 10 times more lethal to mammals than glyphosate, one of the most potent weed killers on the planet! If you’re less scrupulous about your sources, you can even find links between acetic acid and a multitude of disorders, including eczema, psoriasis, shingles, and herpes. You read that right; THIS HOMEMADE HERBICIDE MIXTURE MIGHT GIVE YOU HERPES!